Quick and Easy to Install. Installation requires no modification to the primary electrical system, resulting in no vehicle warranty issues as you are not connected to the main system. 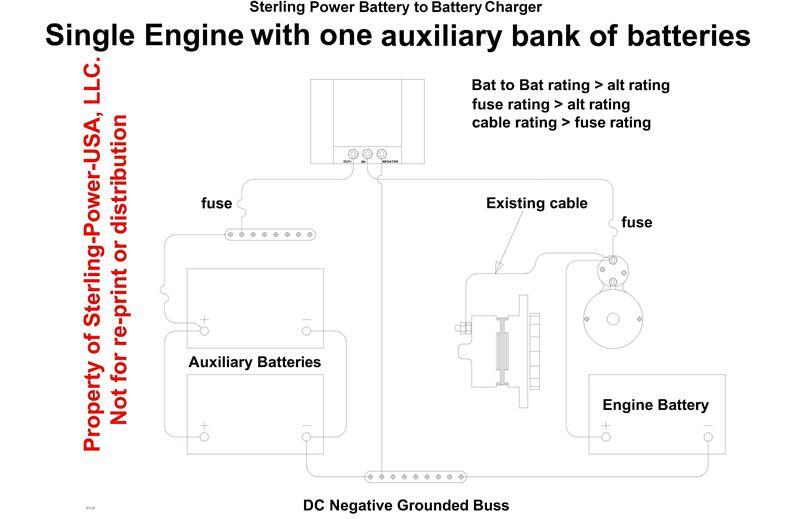 By monitoring and then controlling the charge level of the engine battery connected to its input side, the Battery-to-Battery charger is able to provide the output batteries a four-step charging algorithm at amperage levels near full alternator output capacity. This allows the flexibility of charging of your auxiliary batteries while underway or while your engine battery charger is plugged in at the dock. 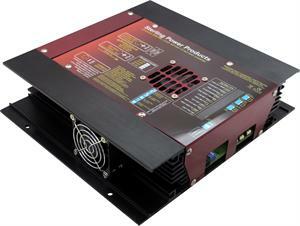 Recover your batteries up to five times faster than a standard alternator. 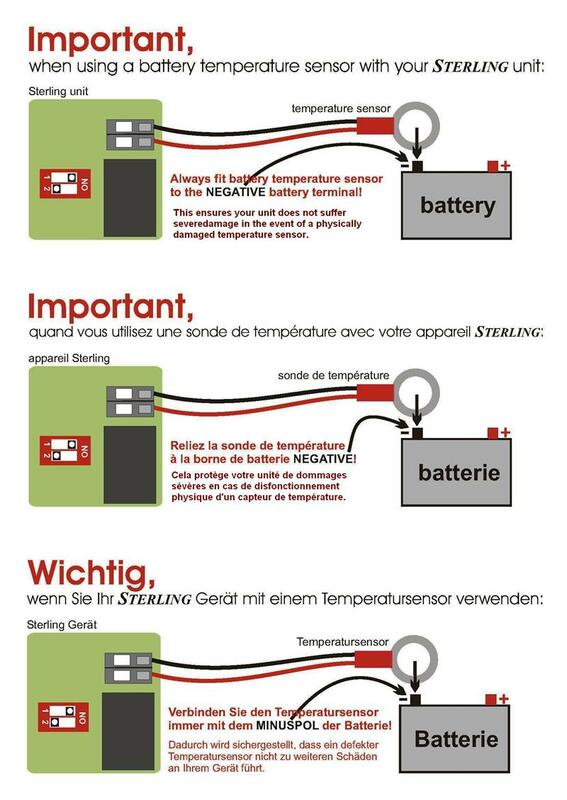 Four Step Battery Charging Profile extends the life of your batteries by ensuring a full charge & conditioning, as well as entering a float mode when charging is complete to protect against overcharging your batteries. Ability to mix on board battery types. 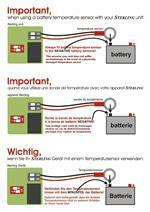 Can charge GEL, AGM or Flooded Lead Acid batteries. Available in 12 volt input to 24 volt output: For 12 volt engines to charge a 24 volt bow thruster bank. 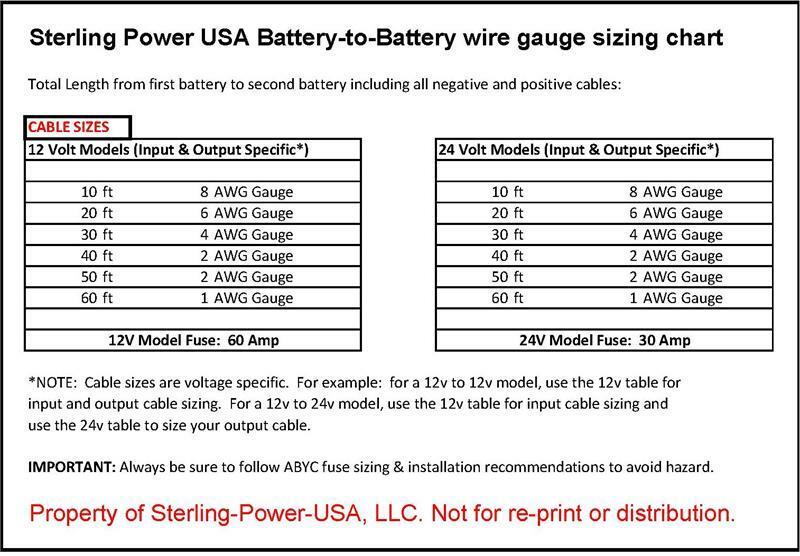 Available in 24volt input to 12 volt output: For 24 volt engines to charge a 12 volt electronics or house bank. Available in 12 volt input to 12 volt output: For 12 volt engines to charge a 12 volt house bank. 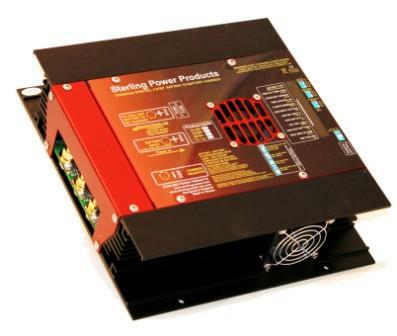 Available in 24 volt input to 24 volt output: For 24 volt engines to charge a 24 volt inverter or bow thruster bank. 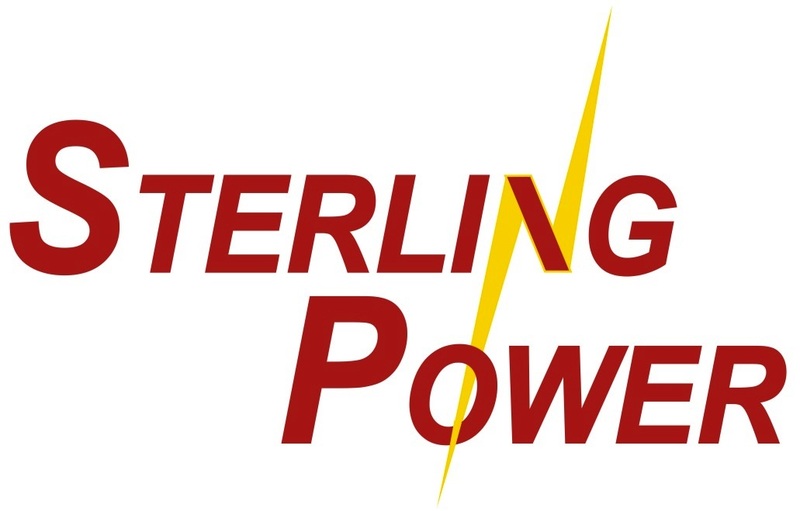 The Sterling Power Battery to Battery Charger monitors the engine start battery, it will not start until the battery voltage exceeds 13 volts, then it waits for 2.5 minutes to ensure that some power is replaced after the engine is started. It then loads the engine battery down to no less than 13 volts. 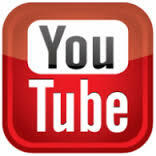 This enables the engine battery to still receive a charge and ensures the alternator works at its full potential.